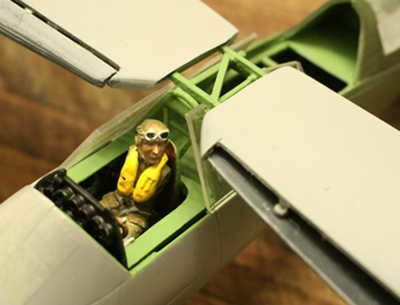 I've been picking at a 1/32 scale Matchbox Lysander model for a while now. While I realize that I can't build a scale model that is perfectly to scale(as do most of us who are not professional model makers, although most come close), there are a few discrepancies in the kit which could be addressed with some, but not a lot of, effort. For one thing, there are the wing spars. 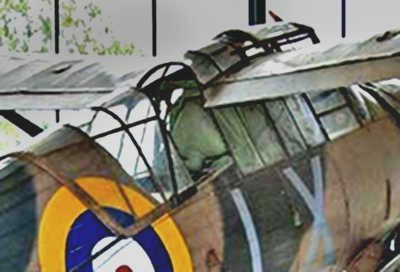 I've noticed in photos that both wing spars carry through the canopy, The kit has something that looks like a garden gate, which seems silly, as it would have been simple, easy, and cheaper(in cost of plastic for the kit) to supply little stub spars of the right diameters, than that silly thing. Second, there is a sort of deck over each cockpit area, kind of a sheet metal fairing, again an easy fix, like the spars. Third, the tank that sits between the pilot and the kit,observer is not the tiny little blob that is supplied with the kit, but a tank that fills the whole bay between both cockpits. Like the previous two, a very easy fix, almost embarrassing to think about. So, I have a question about the cockpit, especially the observer's cockpit. 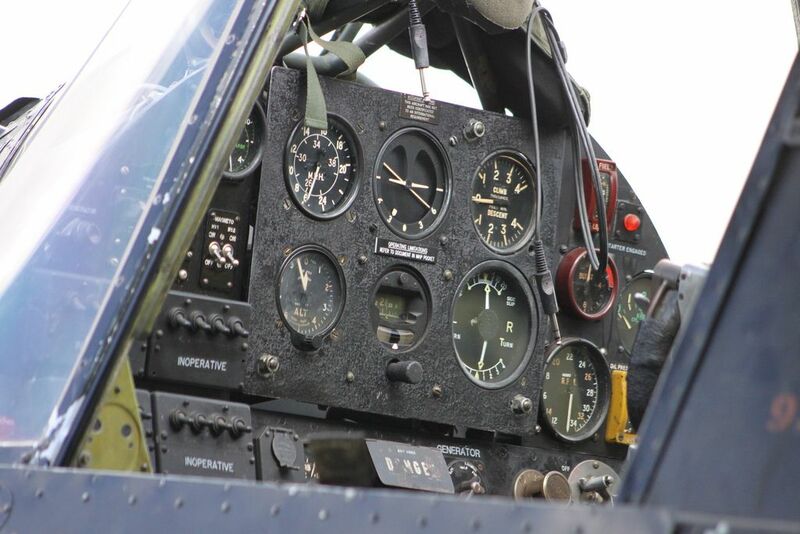 Are there any photos available of cockpit details, such as the panels on the sides of the interior. 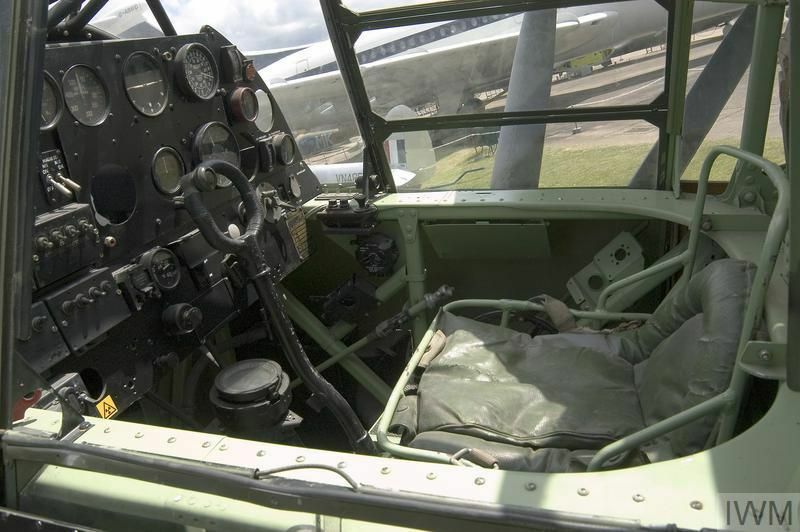 While the owner's manual and the 4+ issue on the Lysander do have some cockpit detail shots, very few of them show more than one interior panel in the pilot's cockpit, there are very few which show more than a minimum of the observer's cockpit. As I said, I'm not trying to make a perfect scale model(I'll try, though), I just want to address a few of the discrepancies I found in the kit, and in the process have more fun making a model just bit more accurate. Thank you. 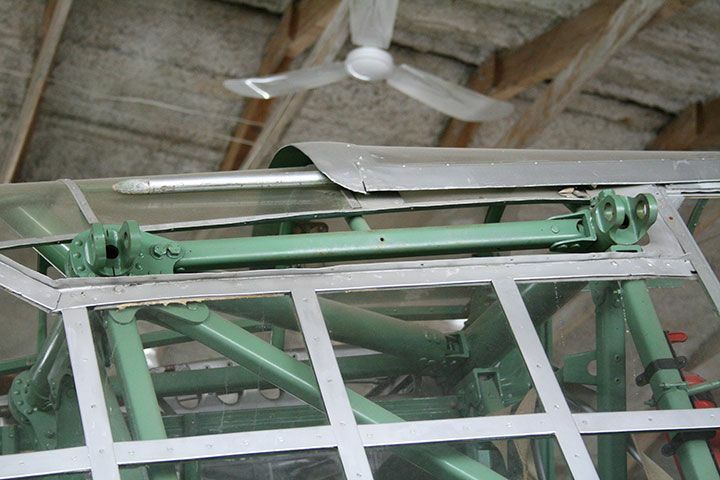 Those are nice pics, with a few different views of the top of the canopy with the spars showing, as well as the tank. Are there any more pics available, such as the interior(including the sides) of the back cockpit? I haven't found anything on the web. Perhaps I can get to the museum over the holidays and get some pictures. 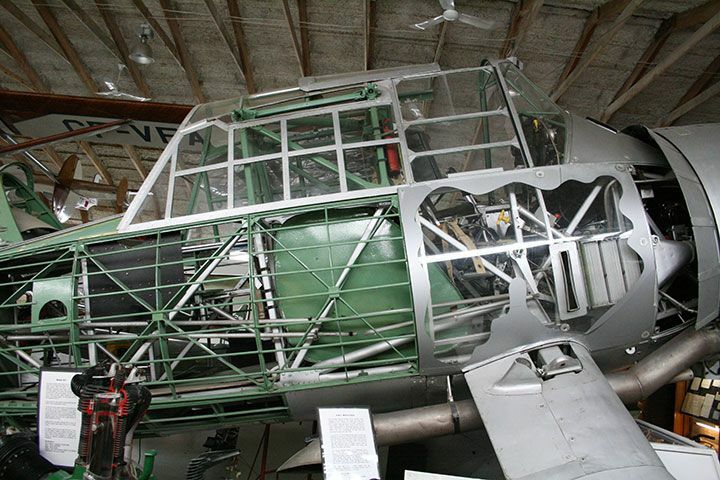 I have yet to find more photos of the Lysander on the net as well. One item I did find, quite a while ago, was a cd on the Lysander, which consisted of the set of drawings of the Lysander by Wylam, which were pretty good for their vintage(the 70s, I think), but should not be a primary source of documentation, as there are a few discrepancies between what Wylam drew and the full-size aircraft. He even got the tank shape wrong. Still, it gives a pretty good idea as to the basic structure of the machine,so you might have the start to a nice scratch build project, should you so desire. One thing I've noticed on the model that would be easy to fix. 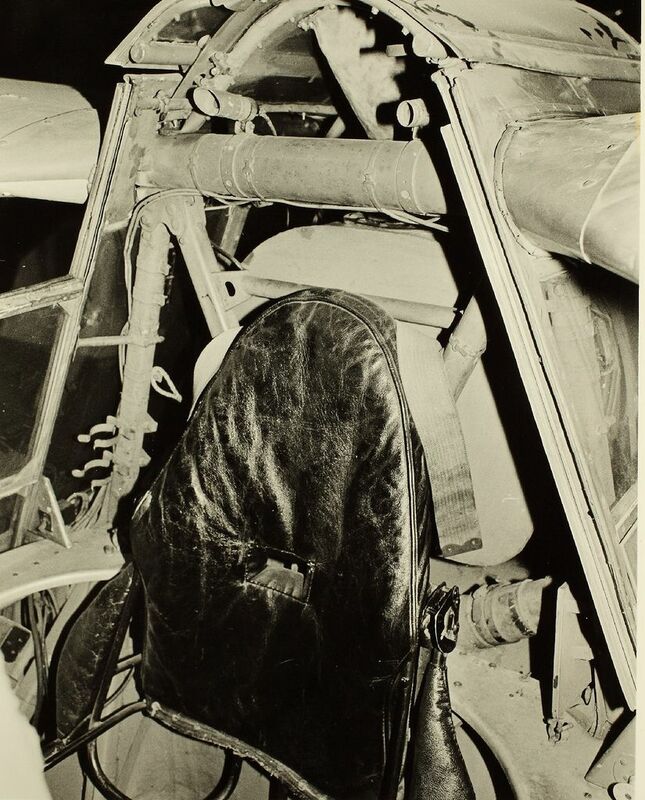 The observer's seat. While the kit supplies a nice basic seat, I've noticed in photos that the seat is little more than a tractor saddle with lightening holes in it. 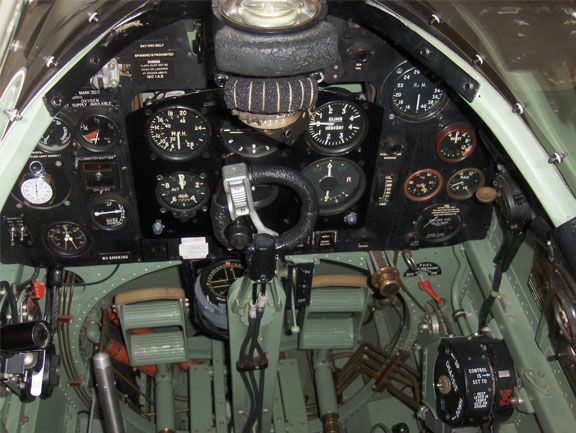 If you are going to shoot some pics, could you measure the diameter of one of the holes, if that seat is in the Lysander you will photograph? I dunno, but even if the seat is not very easy to see on the completed model, I'd still know. I'm dredging up this ancient thread because I finally got out to the museum to take some pictures. The museum building is very cramped, and the Lysander is set back from the walkway so I had to lean way over and stretch my arm out to get the camera near it. Thus the framing isn't optimal. The left side is almost completely inaccessible. I had to use zoom and hope for the best. There's really not a lot in there, most likely because this one was rescued from a farmer's field and whatever equipment used to be there was long since stripped out and sold. The fat post near the forward bulkhead is the base for the back-seater's stool. It sits on top of a horizontal triangular framework which is visible in a couple of the photos. Have a look here http://www.airwar.ru There are some good scale drawings on this site. I used then when I did my Lysander some years ago. Googling VAR aviation drawings will take you to this site. 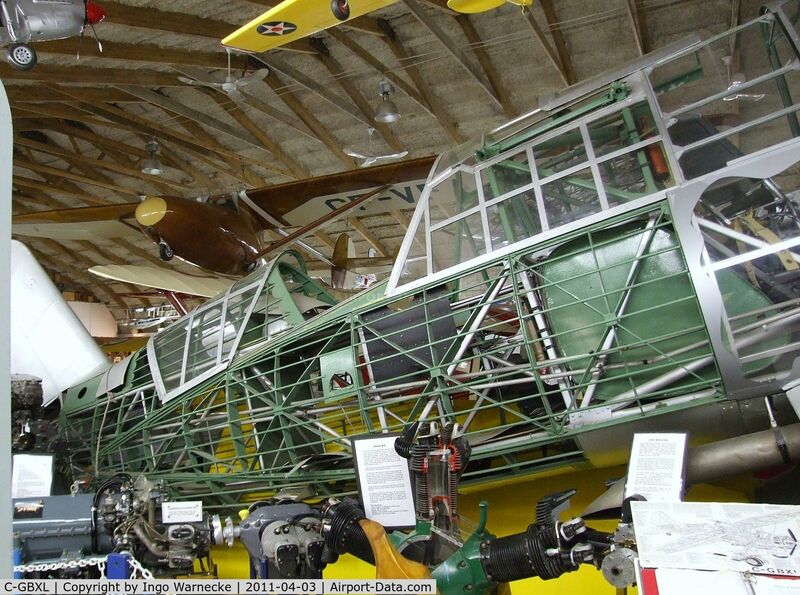 What I am looking for are pics of the top of the canopy, where the wing spars carry through parts are. I have yet to find any clear photos of those, even in the 4+ publication. While the Matchbox kit is nice, the wing join, which is just a clear plastic "garden gate" just does not look right, no matter what angle you look at it. Also, clear photos of the oil tank. And then there is the cockpit deck, that piece of sheet metal that covers the cockpit but has openings for pilot and passenger. There are other points, which can be addressed with a bit of skull sweat, but those I mentioned are among my biggest squawks. 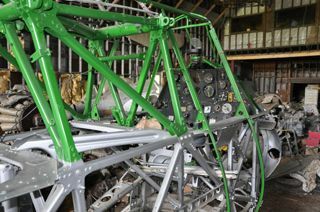 Send me an email and next time I'm at the CWHM I will take some photos of our recently restored Lysander for you. BTW, how are you on the history of Handley Page? I didn't get your email and it's not in my spam folder. I am looking forward to finding someone to share reference information with on the aircraft. Sorry to say but I have found little or nothing on the cockpit layout for the rear seat. Since I do not read Russian could you possibly give direct links to the Lysander pages of interest? I have never been so lost before on a non-English speaking website. There is usually a translate icon at the upper right corner. And then there is always Google translate. While Russian isn't my milk tongue, I've learned over the years of being able to muddle my way through. One of the first Russian words I learned was "samolyet", which translates roughly to "aircraft". The Cyrillic version is camolet, which are among the few Cyrillic words which can be shown in English. Like HET, which is nyet, or no. Other words are a tad easier to understand in Cyrillic, such as "motorlet", which is pronounced "motorlyet", or "motor". I do a lot of scale research, and have found many sources in the printed languages other than English, of subjects not covered in the English speaking countries(at least not much), of such types as the Belyayev DB-LK or the M-15 Belphegor, those being in Russian. 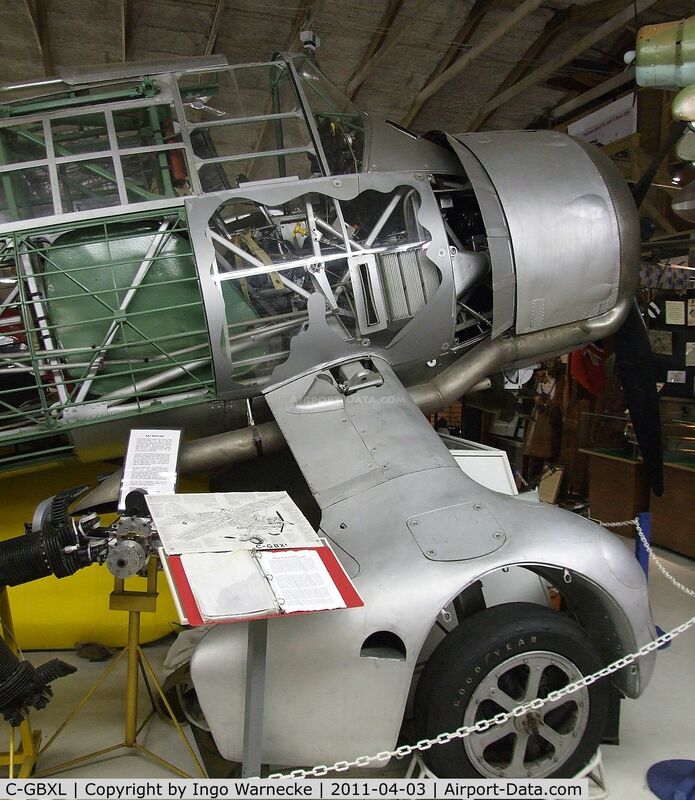 The M15 is especially interesting as it has a number of firsts: It is the first and only turbine powered biplane. 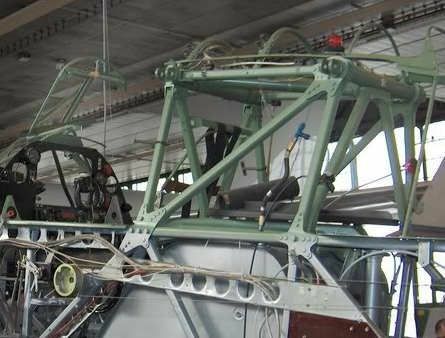 It is the slowest jet-powered aircraft in the world(top speed of 180 mph), it is the noisiest airplane ever built(hence the name Belphegor, the name of a noisy demon), the ugliest biplane ever built, among many others. The DB-Lk, on the other hand, would have been a world beater had Stalin supported it. Sorry but that does not really help much. 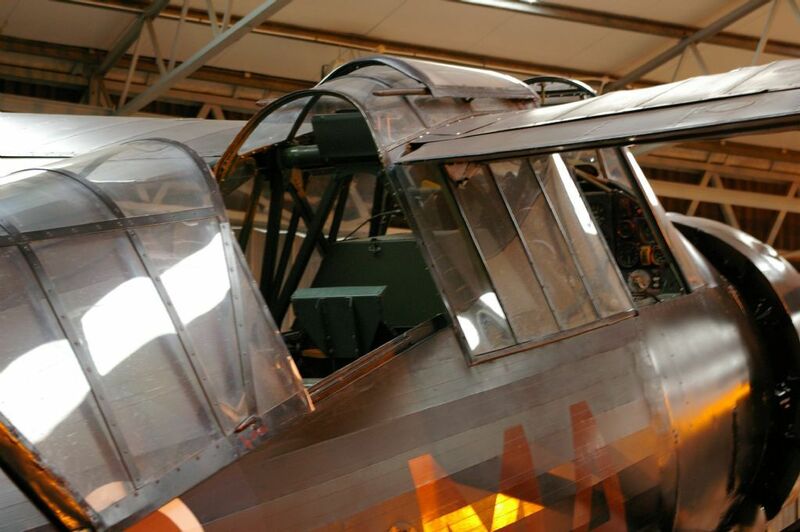 What exactly are you looking for regarding the Lysander? Let me know and I will keep my eyes open for it as I do the research for building my model. I suggest you keep an eye on my thread (link listed above) as I progress through doing the research for my build. You said you had problems understanding Russian. 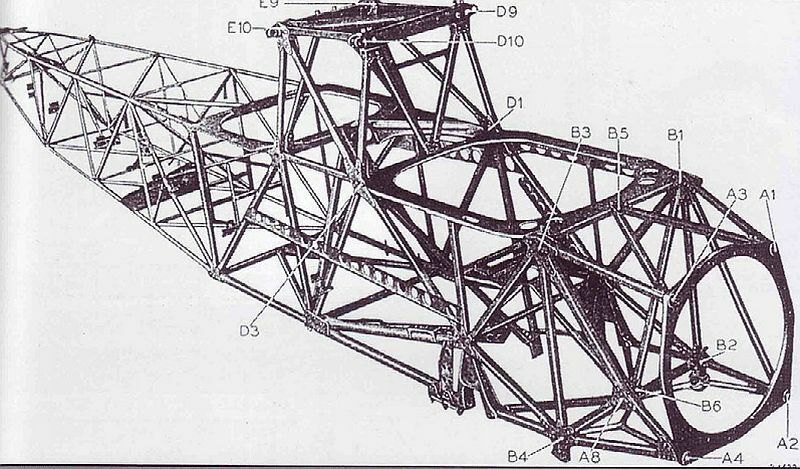 Right now, I'm interested in details such as the two spar connexions and the oil tank(so far). I will try and find more photos of the fuel tank. The aux fuel tank was a totally separate entry. (Physically separate tank but connected by its' own feed line to the carburetor.) 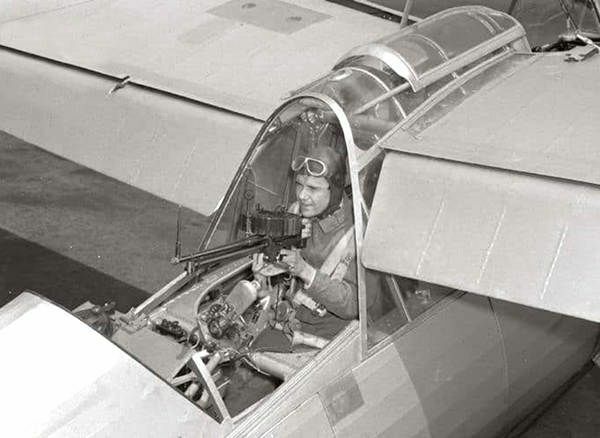 It was added later to the spy version of the plane to increase range. I don't think that very bulbous rear end to the aux. 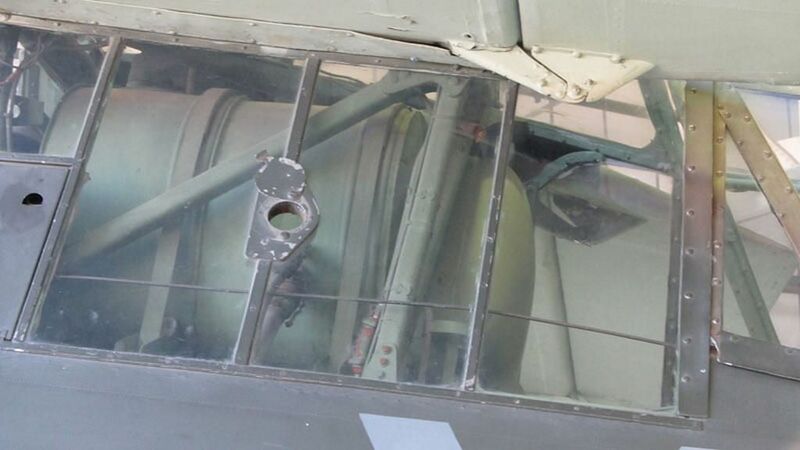 fuel tank is part of the tank but rather a padded headrest for the gunner. Re: the oil reserve tank. Please check the very bottom of page 2 on my Lysander thread. There is a very nice photo showing the oil resouvoir that I just posted yesterday. Thank you for all of this. 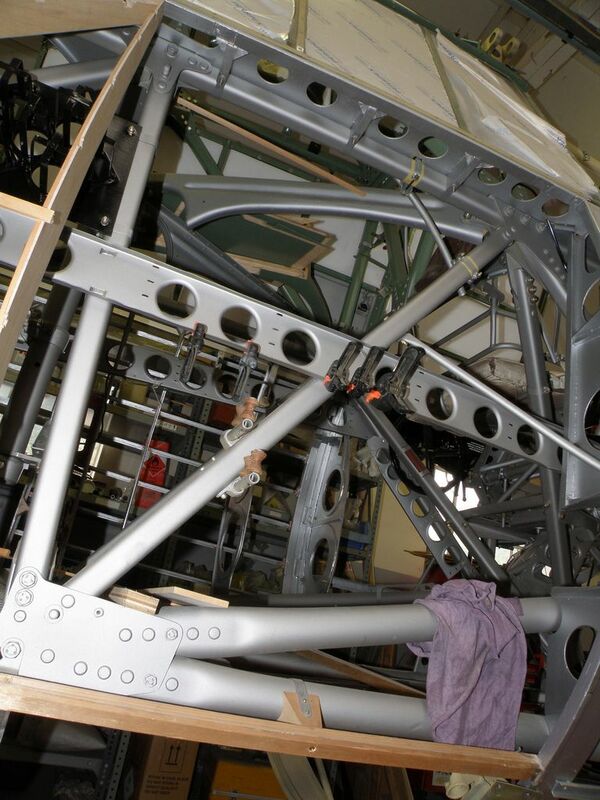 One of my main concerns are the wing spars, fore and aft, which carry through the canopy. In the kit, the wing spar carry through is a little bitty "garden gate" piece of plastic, and dry fitted, it just did not look right. This image came from my most productive internet search ever. 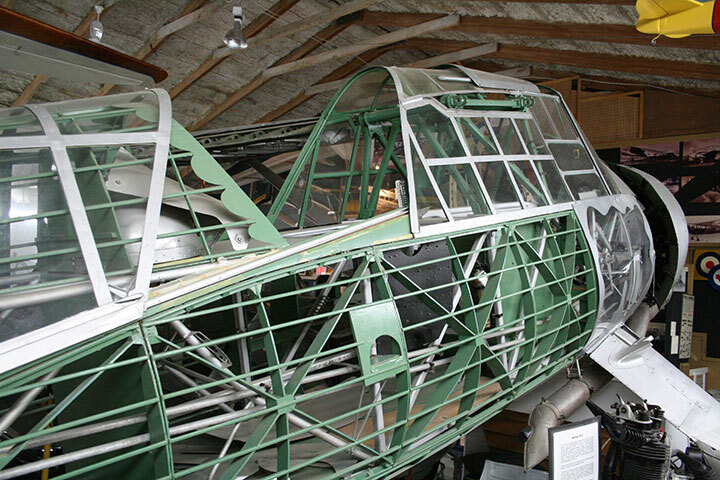 The search was based on looking for the term; "Lysander restoration". Agreed - On my model I went with the "garden gate", improving it as much as was possible. However in hindsight I really should have rebuilt it. I see now this rebuilding would have been relatively easy. The two oddly curved pieces forming a "V" are the upper hold-downs for the primary fuel tank. 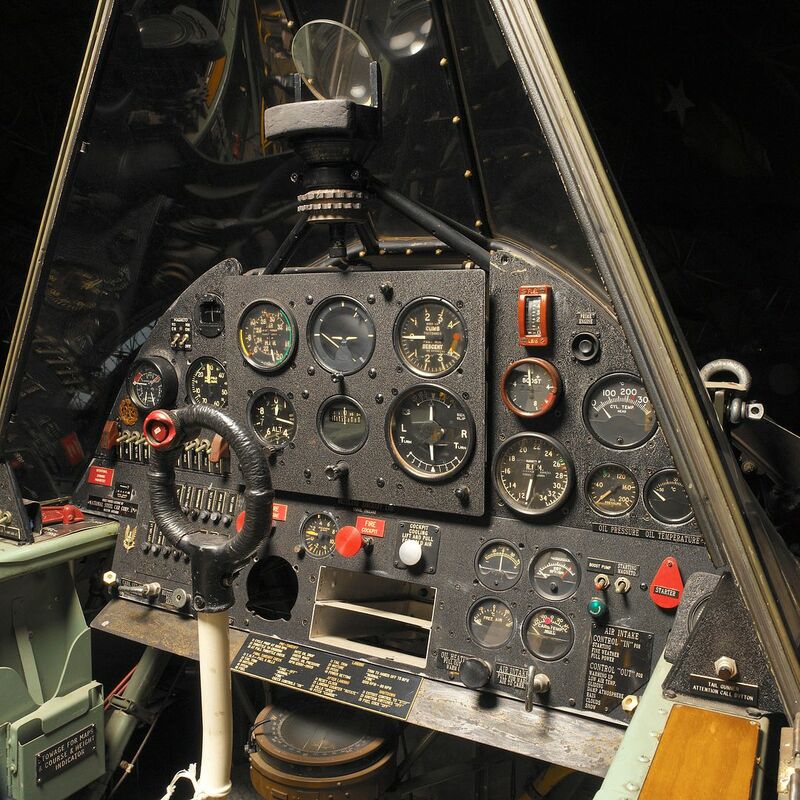 The "V" would support either the chart table mounted above or the reserve auxillary fuel tank when installed.